THANSK TO THE PEOPLE OF THE INTERNET I WAS ABLE TO FIND THIS BOOK. 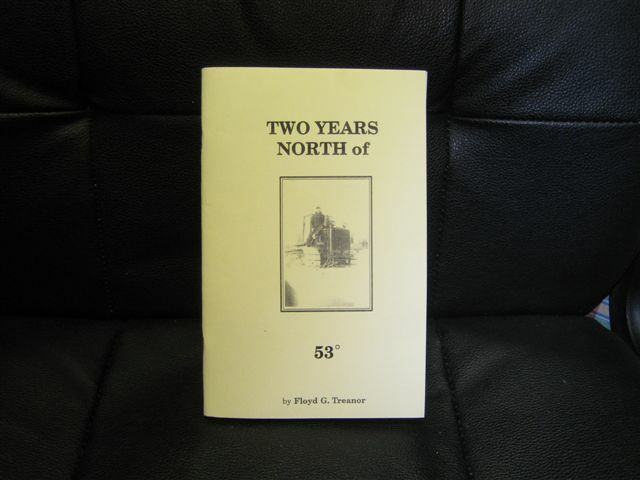 THE BOOK TELLS ABOUT WORKING ON THE CAT TRAINS OUT OF ILORD MANITOBA FOR 2 YEARS. LOTS OF GOOD INFORMATION AND PICTURES. I ENJOYED READING THE BOOK AND MEETING THE AUTHOR'S DAUGHTER WHO IS BRING THIS BOOK BACK IN TO PRINT. IF YOU WOULD LIKE A COPY OF THE BOOK, PLEASE USE THE CONTACT INFO BELOW.